Estonia had the home ice advantage in the 2019 International Ice Hockey Federation’s U20 World Junior Championship and didn’t squander it, winning the gold and receiving a promotion from Division II, Group A to Division I, Group B. Along the way to the title, the Estonians scored 25 goals, allowed only seven. They won four games in regulation, their only stumble a 2-1 overtime win against Lithuania on Jan. 14. The 2020 tournament will be the first time Estonia appears in Division I since 2009. Estonia’s win was produced by a balanced attack. Only one player, 2001-born right wing Kirill Lodeikin, scored as many as four goals. One, Kristofer Jogi, a 2000 center-left wing, had three goals, while five players scored twice and seven contributed one goal. In the gold-clinching win, a 7-2 blowout over Korea, seven different players put the puck in the net. Jogi was the team points leader with seven, which tied him for fourth for the tournament. No other Estonian was among the top 10. On a roster of 22, there is no one playing junior hockey in North America. But it’s clear several could play at a high level if they decided to continue their development in the U.S. or Canada. Lodeikin and Jogi would be solid players, and many coaches would be happy to have Saveli Novikov on their blueline. The 1999 defenseman stands 6’8” and weighs 214 pounds, and was Estonia’s second-leading scorer with two goals and four assists. He was also named the tournament’s top defenseman. Forward Rasmus Kiik, a 2000 who also totaled six points with one goal and five assists, would also be a welcomed addition on this side of the Atlantic. Defenseman Eduard Slessarevski, who isn’t small at 6’2” and 185 pounds but isn’t the giant Novikov is, could help a team next season in his last year of junior hockey. He recorded no goals in the WJC but did help set up four. Many teams would love to get their hands on Estonia’s goalies. Both put up stellar numbers at the tournament. Christopher-Kollervo Jogi, a 2000, finished with a 1.31 goals-against average and a .944 save percentage in three appearances, while Oliver Soovik, also a 2000, went 1.50 and .925 in three appearances. The sole Estonian playing in North America is blueliner Hendrik-Paul Laosma. The 2000, who has great size at 6’3” and nearly 200 pounds, is in the program at Bishop’s College prep school in Sherbrooke, Quebec, where he is listed as a forward. He has three assists in nine games. In five games at the WJC, he had one goal and an assist in front of the home crowd. Deep interest in the top division of the International Ice Hockey Federation’s World Junior Championship currently being played in British Columbia goes beyond the fans from participating nations. German fans and junior hockey officials are surely watching, too, wondering how their team will fare against the best teams next year after being promoted from Division I, Group A. The Germans won the 2019 DI Group A gold in December as the host team with four regulation wins, one overtime win and no losses. They finished a plus-17, scoring 22 goals and allowing only five. Leading the squad was Dominik Bokk, who had eight points. Curiously, the 2000-born winger reached that by scoring only a single goal. It was enough to lead all scorers for the tournament, though. 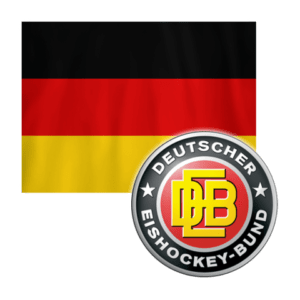 Tied for second for both the German team and the tournament were forward Justin Schutz, a 2000, and Moritz Seider, a 2001 defenseman. Both had seven points. Schutz had two goals, Seider one. Germany was so thoroughly dominant that the team had one more player, for a total of four, among the top 10 scorers in the WJC. Nicolas Appendino recorded a pair of goals and three assists. The Germans also has the WJC best goalie. Hendrik Hane won four games, posted a .949 save percentage, and a 0.98 goals-against average, all tournament bests. Appendino, a 1999 defenseman, who plays for the Fargo Force of the United States Hockey League, is one of more than a half-dozen players on the German roster who are on North America junior hockey rosters this season. That list includes: Leon Gawanke (1999 defenseman, Cape Breton Screaming Eagles, Quebec Major Junior Hockey League), Colin Ugbekile (1999 defenseman, Fargo, USHL), Moritz Wirth (1999 defenseman, Minnesota Magicians, North American Hockey League), Taro Jentzsch (2000 forward, Sherbrooke Phoenix, QMJHL), Sebastian Streu (1999 forward, Regina Pats, Western Hockey League), and Yannik Valenti (2000 winger, Vancouver Giants, WHL). Goalie Florian Mnich, a 2000, is playing in the NAHL for the Corpus Christi IceRays. Several from the German team have been drafted by NHL teams. Gawanke was taken by the Winnipeg Jets in 2017’s fifth round; Bokk is a 2018 first-round pick of the St. Louis Blues; and the Florida Panthers have rights to Schutz, who was drafted in the sixth round last June. The 6’4” 185-pound Seider hasn’t been drafted but could go in the first round in 2019. He was the youngest player on Germany’s gold-medal team and has tremendous potential. At the WJC he was named the tournament’s best defenseman, had the overall best plus-minus (+8), led all blueliners in scoring, and was named his team’s top player. He’s known as a smooth, two-way defender who is “the best German defence prospect since Christian Ehrhoff,” according to Larry Fisher from The Hockey Writers.